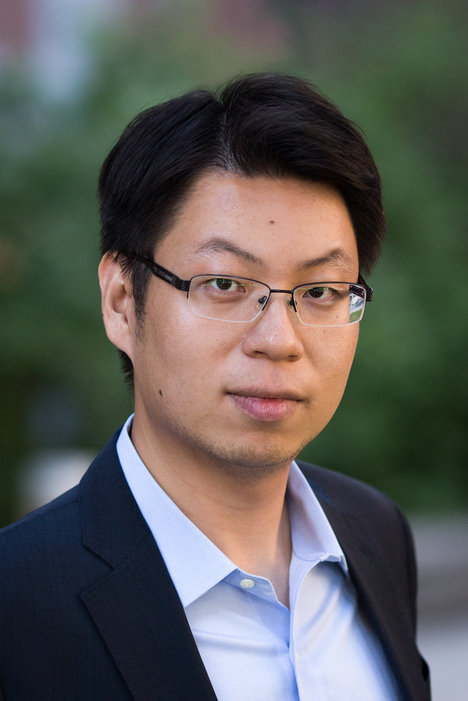 Hyun Min Kang is an Associate Professor in the Department of Biostatistics. He received his Ph.D. in Computer Science from University of California, San Diego in 2009 and joined the University of Michigan faculty in the same year. Prior to his doctoral studies, he worked as a research fellow at the Genome Research Center for Diabetes and Endocrine Disease in the Seoul National University Hospital for a year and a half, after completing his Bachelors and Masters degree in Electrical Engineering at Seoul National University. His research interest lies in big data genome science. Methodologically, his primary focus is on developing statistical methods and computational tools for large-scale genetic studies. Scientifically, his research aims to understand the etiology of complex disease traits, including type 2 diabetes, bipolar disorder, cardiovascular diseases, and glomerular diseases. 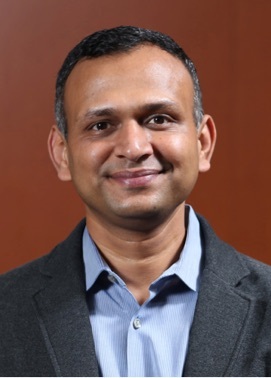 Dr. Veera Baladandayuthapani is currently a Professor in the Department of Biostatistics at University of Michigan (UM), where he is also the Associate Director of the Center for Cancer Biostatistics. 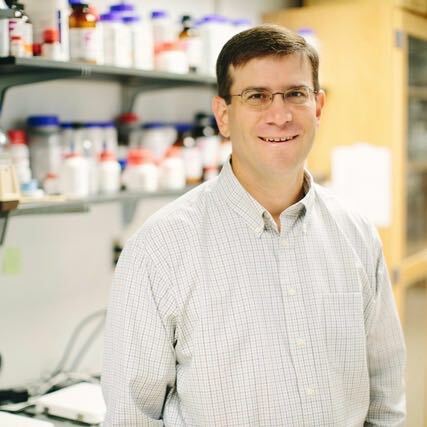 He joined UM in Fall 2018 after spending 13 years in the Department of Biostatistics at University of Texas MD Anderson Cancer Center, Houston, Texas, where was a Professor and Institute Faculty Scholar and held adjunct appointments at Rice University, Texas A&M University and UT School of Public Health. 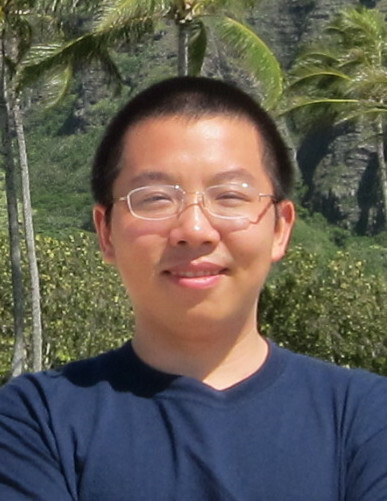 His research interests are mainly in high-dimensional data modeling and Bayesian inference. This includes functional data analyses, Bayesian graphical models, Bayesian semi-/non-parametric models and Bayesian machine learning. These methods are motivated by large and complex datasets (a.k.a. Big Data) such as high-throughput genomics, epigenomics, transcriptomics and proteomics as well as high-resolution neuro- and cancer- imaging. His work has been published in top statistical/biostatistical/bioinformatics and biomedical/oncology journals. He has also co-authored a book on Bayesian analysis of gene expression data. He currently holds multiple PI-level grants from NIH and NSF to develop innovative and advanced biostatistical and bioinformatics methods for big datasets in oncology. 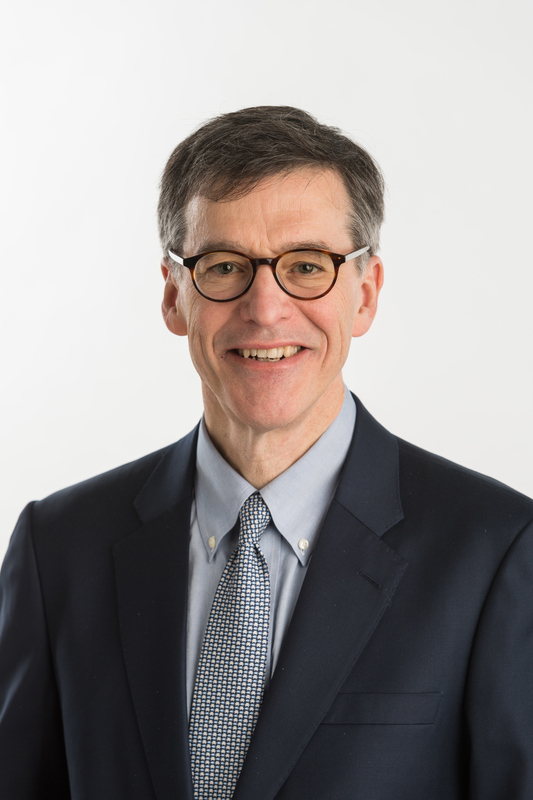 He has also served as the Director of the Biostatistics and Bioinformatics Cores for the Specialized Programs of Research Excellence (SPOREs) in Multiple Myeloma and Lung Cancer and Biostatistics&Bioinformatics platform leader for the Myeloma and Melanoma Moonshot Programs at MD Anderson. He is a fellow of the American Statistical Association and an elected member of the International Statistical Institute. He currently serves as an Associate Editor for Journal of American Statistical Association, Biometrics and Sankhya. 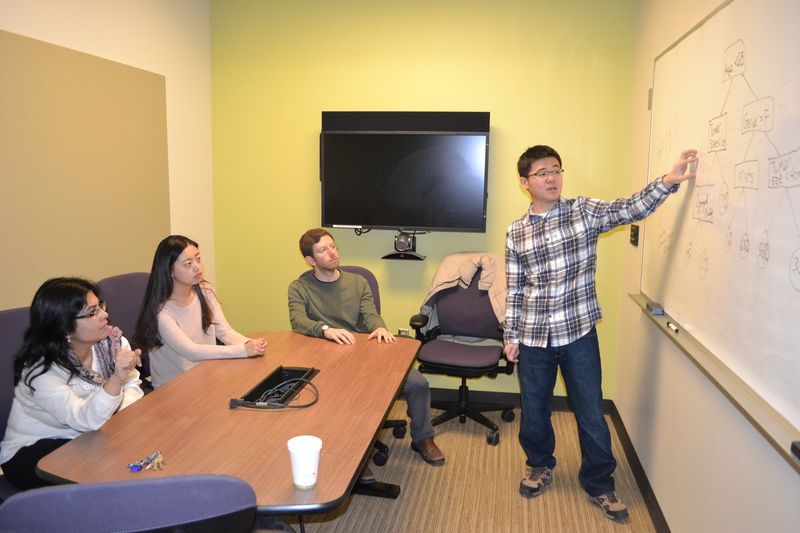 Prof. Huan’s research broadly revolves around uncertainty quantification, data-driven modeling, and numerical optimization. He focuses on methods to bridge together models and data: e.g., optimal experimental design, Bayesian statistical inference, uncertainty propagation in high-dimensional settings, and algorithms that are robust to model misspecification. He seeks to develop efficient numerical methods that integrate computationally-intensive models with big data, and combine uncertainty quantification with machine learning to enable robust and reliable prediction, design, and decision-making. Optimal experimental design seeks to identify experiments that produce the most valuable data. For example, when designing a combustion experiment to learn chemical kinetic parameters, design condition A maximizes the expected information gain. 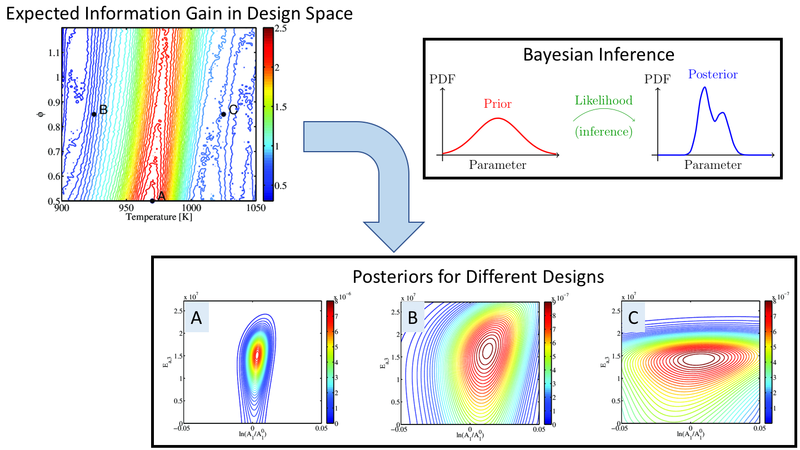 When Bayesian inference is performed on data from this experiment, we indeed obtain “tighter” posteriors (with less uncertainty) compared to those obtained from suboptimal design conditions B and C.
Professor Hines’ research focuses on the analysis of the donative behavior of Americans, and how it affects the intergenerational and interpersonal transmission of economic well-being. To what extent do parents leave property to their children and others, and how is this behavior affected by legal institutions, taxes, social norms, and other considerations? While there are no comprehensive sources of data on wills, trusts, lifetime gifts, and other forms of property transmission, there is ample available information from legal documents that with the help of natural language processing can hopefully be coded and analyzed in a systematic way. 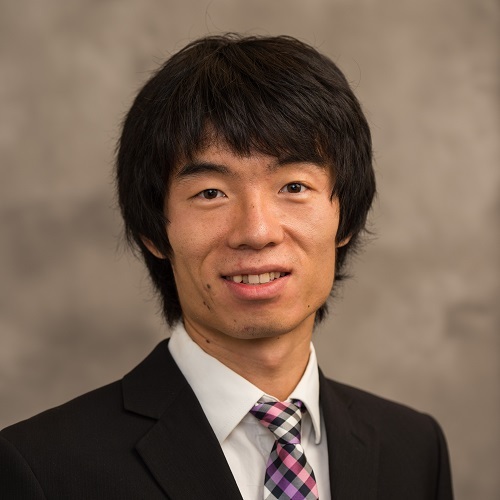 Dr. Feng’s research involves conducting and using naturalistic observational studies to better understand the interactions between motorists and other road users including bicyclists and pedestrians. The goal is to use an evidence-based, data-driven approach that improves bicycling and walking safety and ultimately makes them viable mobility options. 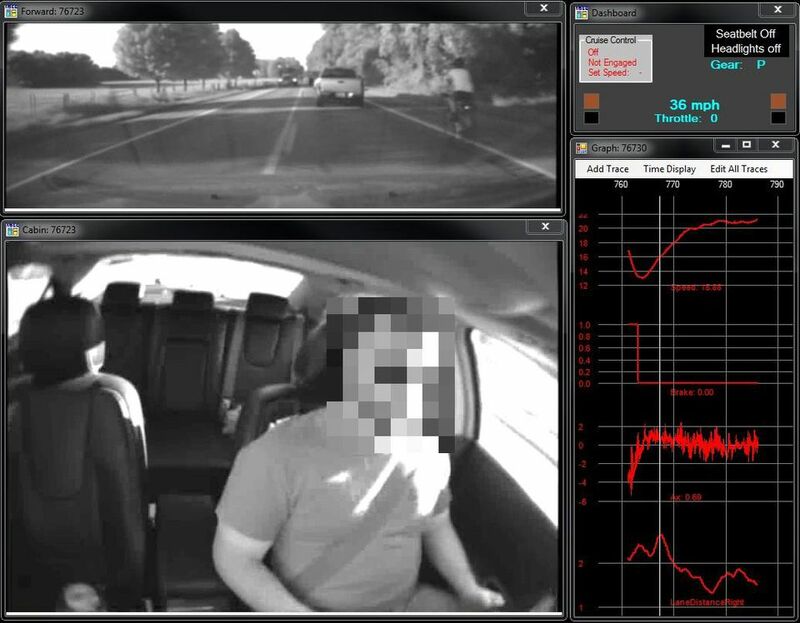 A naturalistic study is a valuable and unique research method that provides continuous, high-time-resolution, rich, and objective data about how people drive/ride/walk for their everyday trips in the real world. It also faces challenges from the sheer volume of the data, and as with all observational studies, there are potential confounding factors compared to a randomized laboratory experiment. Data analytic methods can be developed to interpret the behavioral data, make meaningful inferences, and get actionable insights. 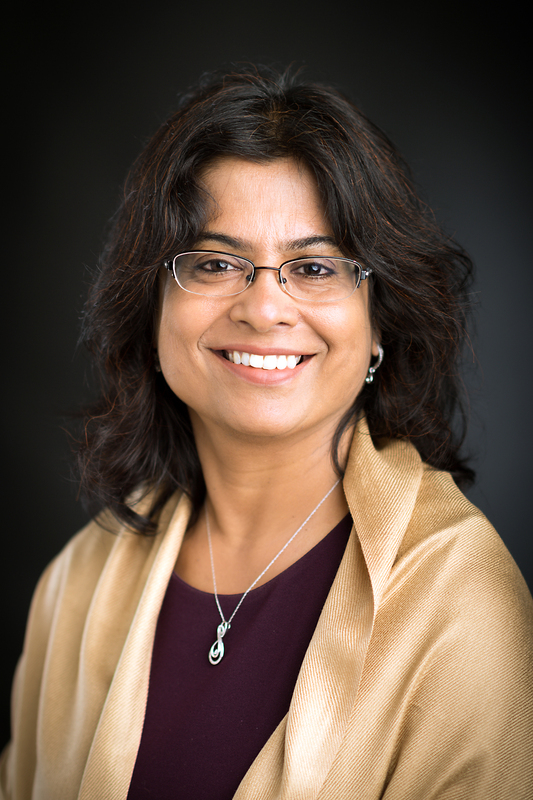 My research is focused on developing efficient and effective statistical and computational methods for genetic and genomic studies. These studies often involve large-scale and high-dimensional data; examples include genome-wide association studies, epigenome-wide association studies, and various functional genomic sequencing studies such as bulk and single cell RNAseq, bisulfite sequencing, ChIPseq, ATACseq etc. Our method development is often application oriented and specifically targeted for practical applications of these large-scale genetic and genomic studies, thus is not restricted in a particular methodology area. Our previous and current methods include, but are not limited to, Bayesian methods, mixed effects models, factor analysis models, sparse regression models, deep learning algorithms, clustering algorithms, integrative methods, spatial statistics, and efficient computational algorithms. By developing novel analytic methods, I seek to extract important information from these data and to advance our understanding of the genetic basis of phenotypic variation for various human diseases and disease related quantitative traits. 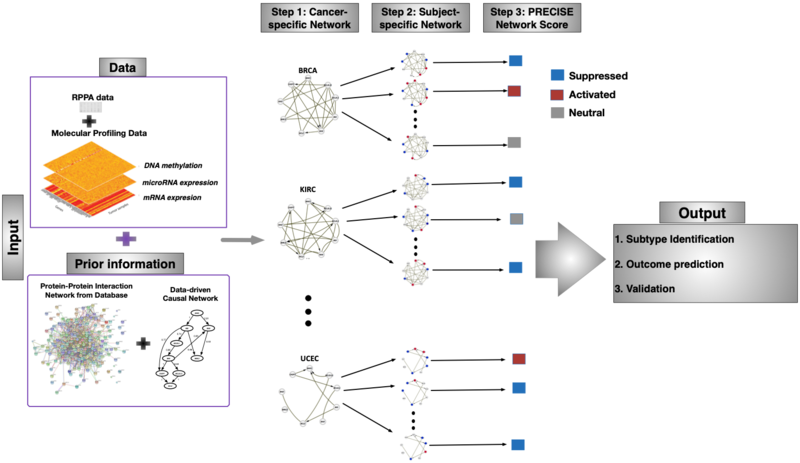 A statistical method recently developed in our group aims to identify tissues that are relevant to diseases or disease related complex traits, through integrating tissue specific omics studies (e.g. ROADMAP project) with genome-wide association studies (GWASs). 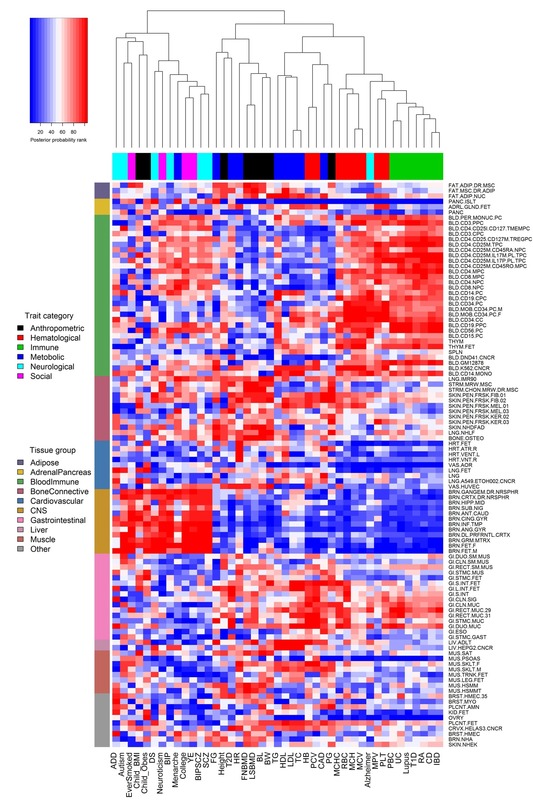 Heatmap displays the rank of 105 tissues (y-axis) in terms of their relevance for each of the 43 GWAS traits (x-axis) evaluated by our method. Traits are organized by hierarchical clustering. Tissues are organized into ten tissue groups. 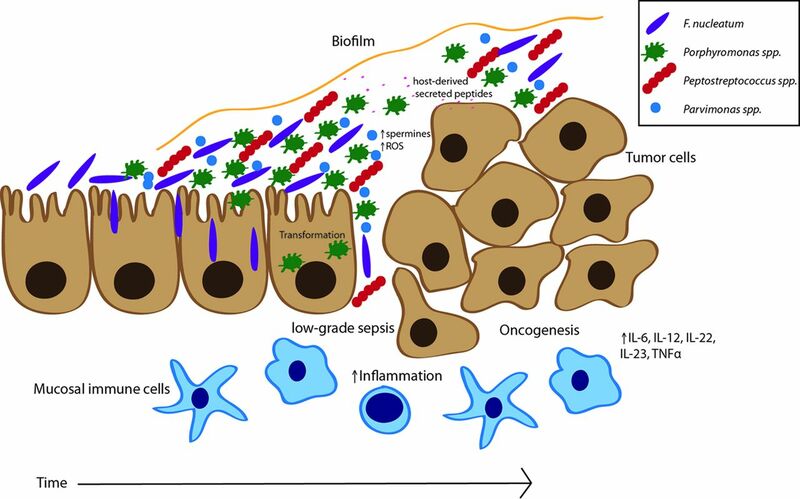 The Schloss lab is broadly interested in beneficial and pathogenic host-microbiome interactions with the goal of improving our understanding of how the microbiome can be used to reach translational outcomes in the prevention, detection, and treatment of colorectal cancer, Crohn’s disease, and Clostridium difficile infection. To address these questions, we test traditional ecological theory in the microbial context using a systems biology approach. Specifically, the laboratory specializes in using studies involving human subjects and animal models to understand how biological diversity affects community function using a variety of culture-independent genomics techniques including sequencing 16S rRNA gene fragments, metagenomics, and metatranscriptomics. In addition, they use metabolomics to understand the functional role of the gut microbiota in states of health and disease. To support these efforts, they develop and apply bioinformatic tools to facilitate their analysis. Most notable is the development of the mothur software package (https://www.mothur.org), which is one of the most widely used tools for analyzing microbiome data and has been cited more than 7,300 times since it was initially published in 2009. The Schloss lab deftly merges the ability to collect data to answer important biological questions using cutting edge wet-lab techniques and computational tools to synthesize these data to answer their biological questions. Given the explosion in microbiome research over the past 15 years, the Schloss lab has also stood at the center of a major effort to train interdisciplinary scientists in applying computational tools to study complex biological systems. These efforts have centered around developing reproducible research skills and applying modern data visualization techniques. 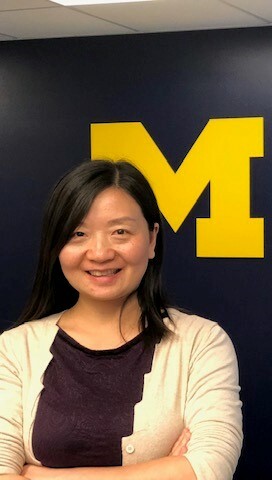 An outgrowth of these efforts at the University of Michigan has been the institutionalization of The Carpentries organization on campus (https://carpentries.org), which specializes in peer-to-peer instruction of programming tools and techniques to foster better reproducibility and build a community of practitioners. The Schloss lab uses computational tools to integrate multi-omics tools in a culture-independent approach to understand how bacteria interact with each other and their host to drive processes such as colorectal cancer and susceptibility to Clostridium difficile infections. My research is primarily focused around 1) machine learning methods for understanding healthcare delivery and outcomes in the population, 2) analyses of correlated data (e.g. longitudinal and clustered data), and 3) survival analysis and competing risks analyses. We have developed tree-based and ensemble regression methods for censored and multilevel data, combination classifiers using different types of learning methods, and methodology to identify representative trees from an ensemble. 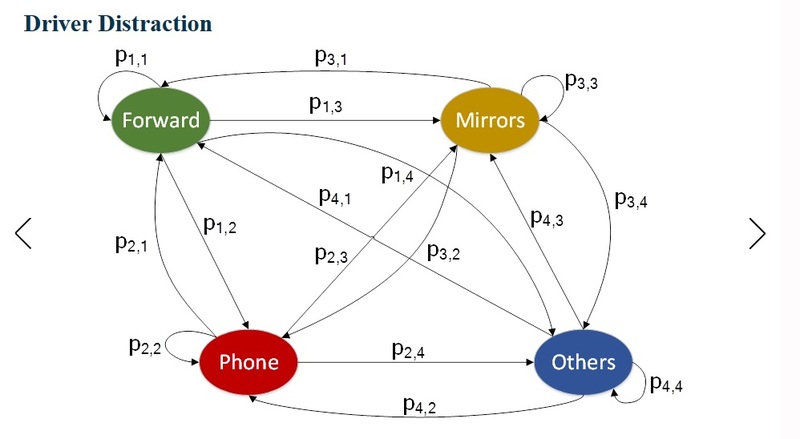 These methods have been applied to important areas of biomedicine, specifically in patient prognostication, in developing clinical decision-making tools, and in identifying complex interactions between patient, provider, and health systems for understanding variations in healthcare utilization and delivery. My substantive areas of research are cancer and pediatric cardiovascular disease. 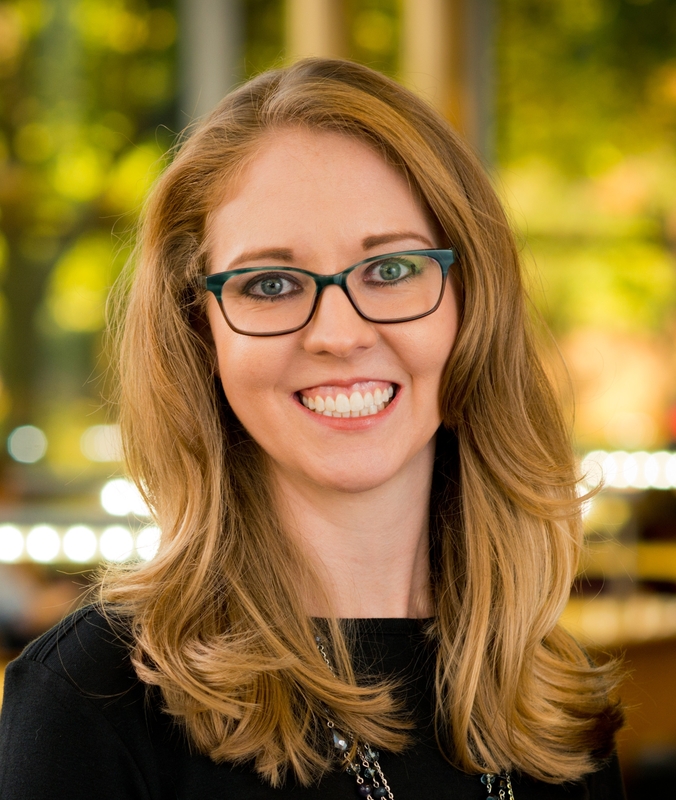 Dr. Morckel uses spatial and statistical methods to examine ways to improve quality of life for people living in shrinking, deindustrialized cities in the Midwestern United States. She is especially interested in the causes and consequences of population loss, including issues of vacancy, blight, and neighborhood change. 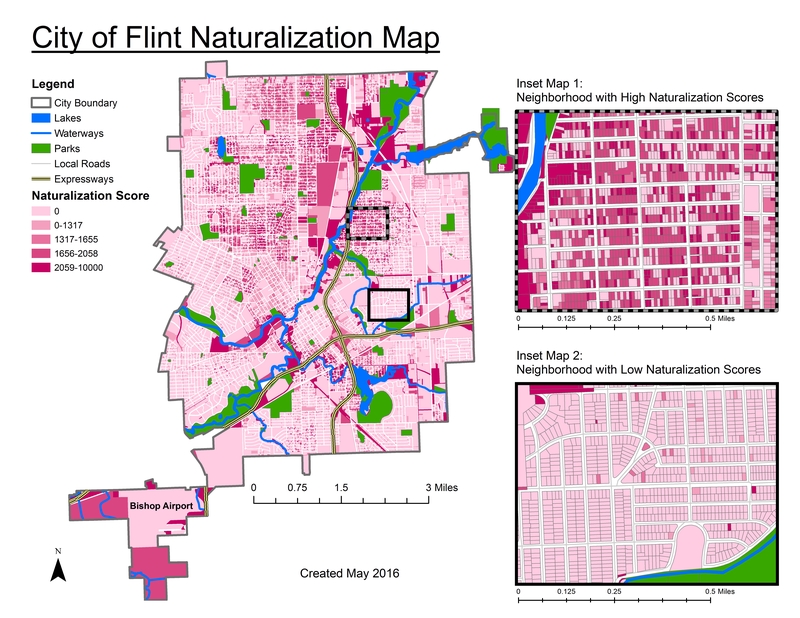 Suitability Analysis Results: Map of Potential Properties to Naturalize in the City of Flint, Michigan.